Another use case for edge computing has been the buildout of next-gen 5G cellular networks by telecommunication companies. Kelly Quinn, a research manager at IDC who studies edge computing, predicts that as telecom providers build 5G into their wireless networks they will increasingly add micro-data centers that are either integrated into or located adjacent to 5G towers. Business customers would be able to own or rent space in these micro-data centers to do edge computing, then have direct access to a gateway into the telecom provider’s broader network, which could connect to a public IaaS cloud provider. 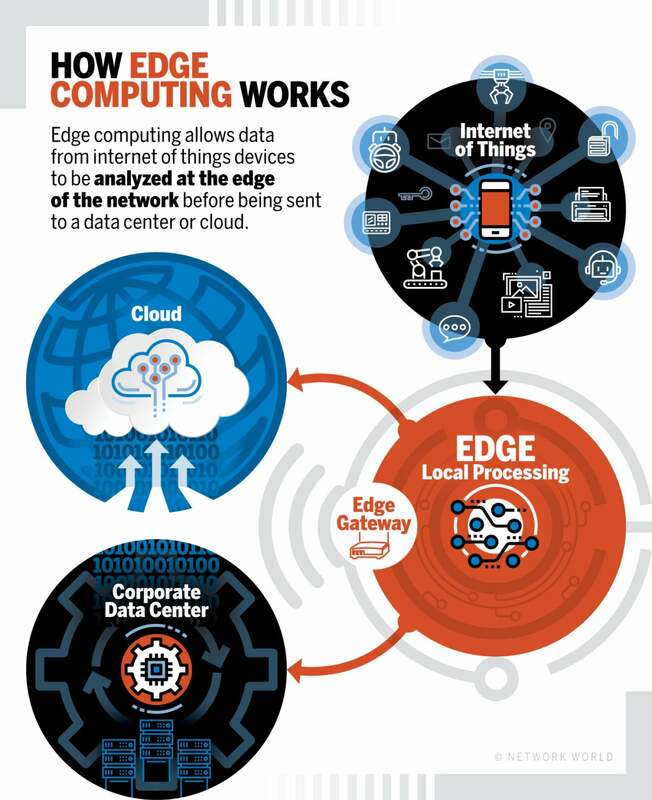 Edge computing equipment: Edge computing uses a range of existing and new equipment. Many devices, sensors and machines can be outfitted to work in an edge computing environment by simply making them Internet-accessible. Cisco and other hardware vendors have a line of ruggedized network equipment that has hardened exteriors meant to be used in field environments. A range of compute servers, converged systems and even storage-based hardware systems like Amazon Web Services’ Snowball can be used in edge computing deployments. This article was written by Brandon Butler from NetworkWorld and was legally licensed through the NewsCred publisher network. Please direct all licensing questions to legal@newscred.com.